Grasslands are areas where the vegetation is dominated by grasses (Poaceae). 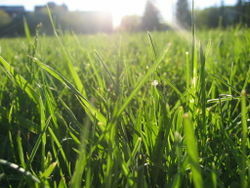 Grasslands occur naturally on all continents except Antarctica. This page was last modified on 5 June 2013, at 15:14.